Double Stranded STRETCHABLE BRACELET.COLORS Coral Red Pearls with Silver Rondells with Sterling Silver Earrings this is set is Gorgeous for Bridesmaid. You will love this beautiful pearls & high quality of silver rondells. 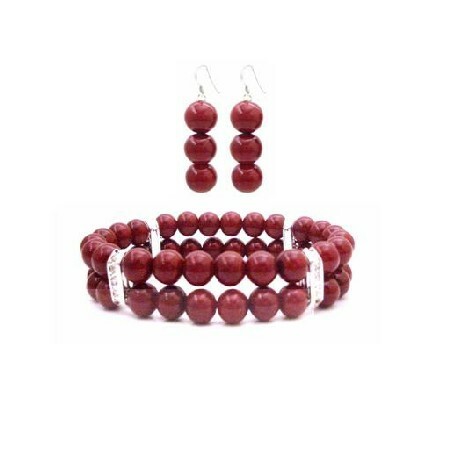 This handcrafted bracelet is strung on good quality elastic cord so it is sure to fit any. This Bracelet Delve into a World of Glamour.